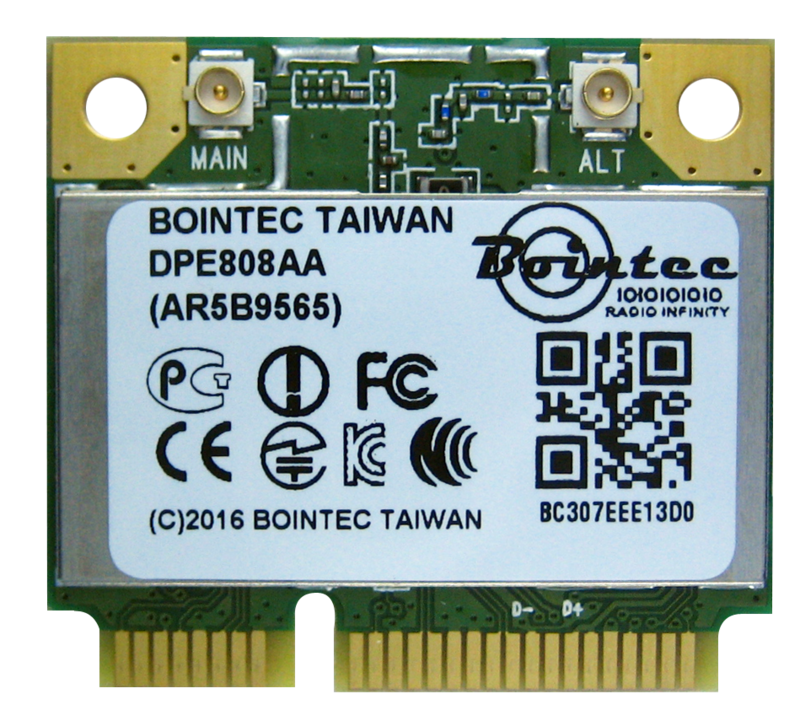 Bointec DPE909AA is a ultra solution that combines dual-band (2.4/5 GHz), 2-stream 802.11n and Bluetooth 4.0 technologies for notebooks, netbooks and tablets. The highly integrated solution not only provides customers with greater design flexibility, but can actually improve the wireless experience for consumers. 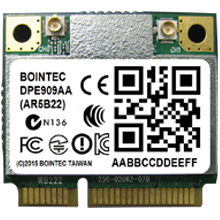 Bointec DPE909AA brings industry-leading 2x2 802.11n performance to increasingly smaller computing and CE devices.In delivers data rates of 300 Mbps and TCP throughput of more than 200 Mbps when used in 2x2 mode. It also offers a unique set of advanced 11n technologies known as Signal-Sustain Technology™ (SST), which ensures stronger wireless connections across the entire WLAN link. SST features include Low Density Parity Checking (LDPC), Transmit Beam Forming (TxBF), Maximum Ratio Combining (MRC) and Maximum Likelihood Demodulation (MLD) – which together can increase rate-over-range performance by up to 100% at short range, 50% at mid-range and 25% at long range. 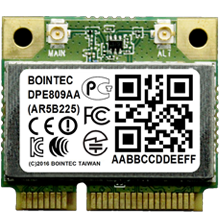 Bointec DPE909AA also supports the latest Bluetooth 4.0 specification, which includes both High Speed and Low-Energy operation to extend personal area connectivity to a variety of devices.Bointec DPE909AA also delivers superior WLAN/Bluetooth coexistence to ensure the best possible wireless experience.DPE909AA offers advanced algorithms developed to mitigate interference and takes advantage of the physical proximity of the WLAN and Bluetooth radios to provide maximum performance. 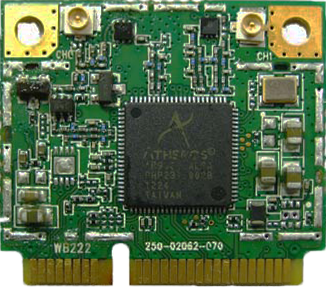 PCI Express® Mini Card Electromechanical Specification Revision 1.2. 2dBm typical, class 2 device (-6dBm < output power <4dBm). **The maximum current consumption would be impacted by radiation environment and the driver mechanism.